Hong Kong was the finale of my sister and I’s trip to Asia in 2017, and it was truly a place I felt right at home in. I’m a city girl to the core and knowing how many expats around the world call HK home, it’s a place I definitely want to visit again for an extended period of time. If you love food, shopping, and the hustle and bustle of a large city, you definitely have to visit Hong Kong. Watch my travel vlog below and scroll ahead to see my top recommendations on things to see on a brief visit to Hong Kong. Hotel ICON: one of the best hotels I’ve ever stayed at. Hotel ICON offers luxury accommodations with an emphasis on sustainability, all at an incredible price. 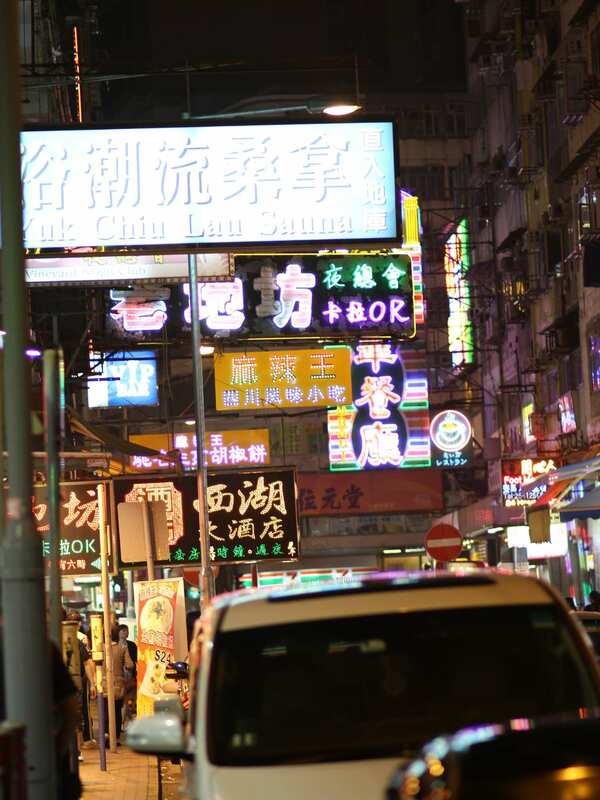 Centrally located in Tsim Sha Tsui, the hotel is perfectly situated and was a great homebase for Caitlin and I. The pool and view are insane! We had superb service with all the amenities. I rarely stay at the same hotel twice, but when I come back to HK I definitely want to stay here again. 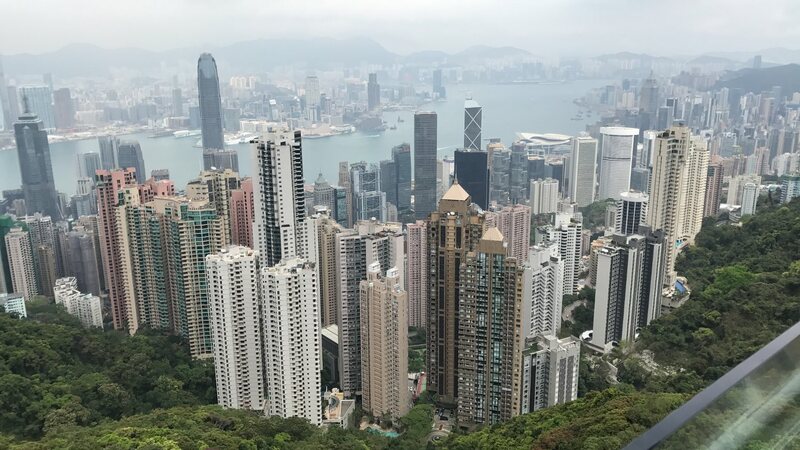 Victoria Peak: come here for the iconic view of the HK skyline. Arrive to the tram early or be prepared to wait over an hour like we did. 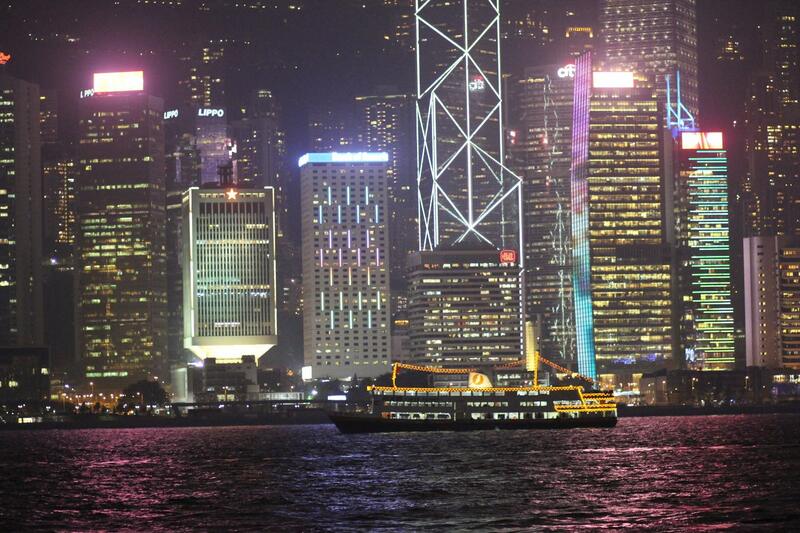 Star Ferry: I knew when coming to Hong Kong, a nighttime ferry ride was at the top of my list. The nightly light show is insane, and to see all the colors reflecting on the bay while taking the ferry to Central HK is an experience I’ll never forget. It’s super cheap, too! 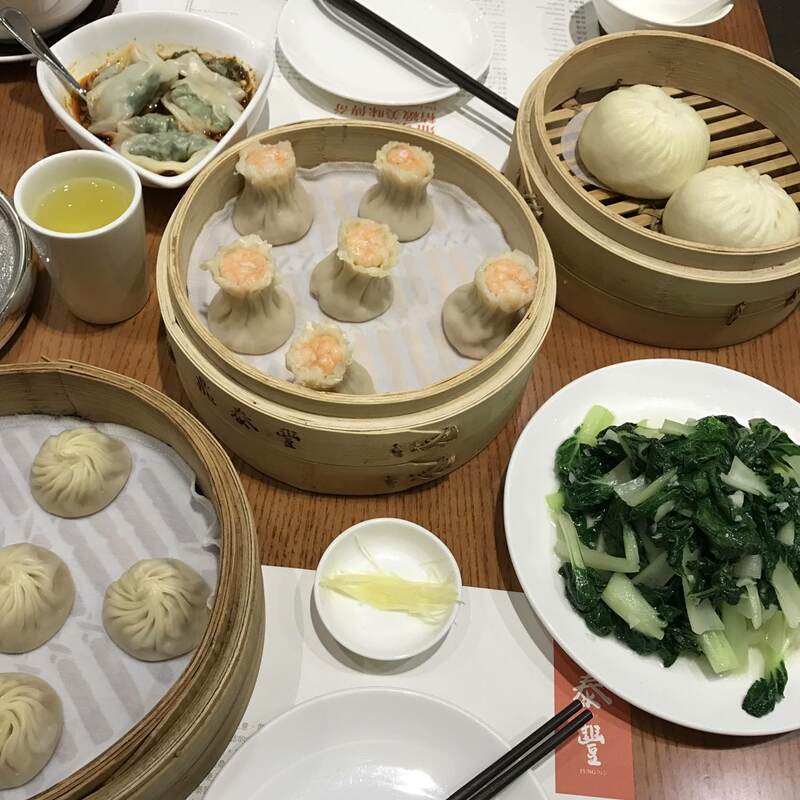 Din Tai Fung: it’s not a trip to HK without enjoying some dim sum, and DTF has several locations around the city. I had my first Din Tai Fung experience here in Hong Kong, and it later led to me visiting the flagship restaurant in Taipei a few months later. You could say I’m a bit obsessed! They have a huge menu and something truly for everyone, even picky eaters. Tim Ho Wan: tucked away on the lower level of a train station is this unsuspecting dim sum restaurant that is insanely good. Tables are packed tight and is bustling with locals, a slightly different vibe as compared to DTF. It’s a little hard to find but definitely worth the visit if you’re in Central. 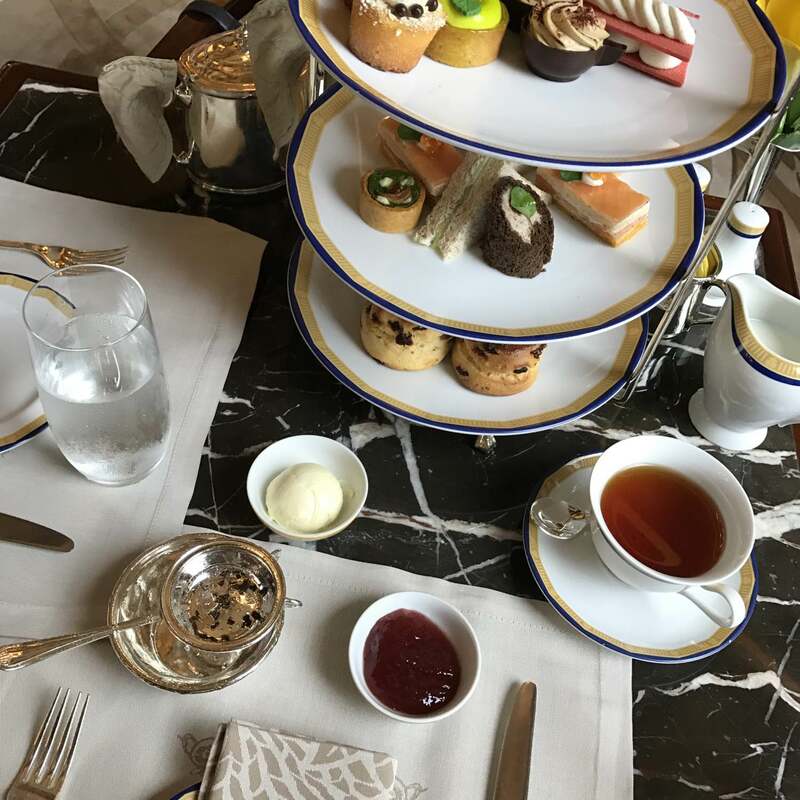 High Tea at the Peninsula Hotel: whenever you visit a country formerly or currently in the British commonwealth, you know some place is doing high tea really well. This iconic hotel is absolutely breathtaking and the high tea service in the lobby is such a fun experience. Come hungry because the richness of the finger sandwiches and petite pastries served may surprise you! Above & Beyond: located on the top floor of Hotel ICON, this restaurant gives me Hakkasan vibes with upscale Chinese food in a posh atmosphere. Again, this hotel nails it on the view but the food and drinks don’t disappoint either. Harbor City Mall: if you didn’t already know, Hong Kong has no sales tax so it can be a smart place to shop. Harbor City Mall is one of the most insane malls I’ve ever been to on both a scale and selection basis. Although CHANEL intially lured me in, I resisted buying anything and enjoyed browsing the 100s of other stores instead. Americans visiting from the US, keep an eye out for the Studio Ghibli and Kiko Milano stores! Ladies’ Night Market: if you’re looking for real deals, you’ve got visit this night market in Mongkok. You can not only score clothing and accessories, but electronics, toys, and more. Perfect place to shop for souvenirs as well. Like this post? Be sure to read some of my other travel or Asia posts for more inspiration. 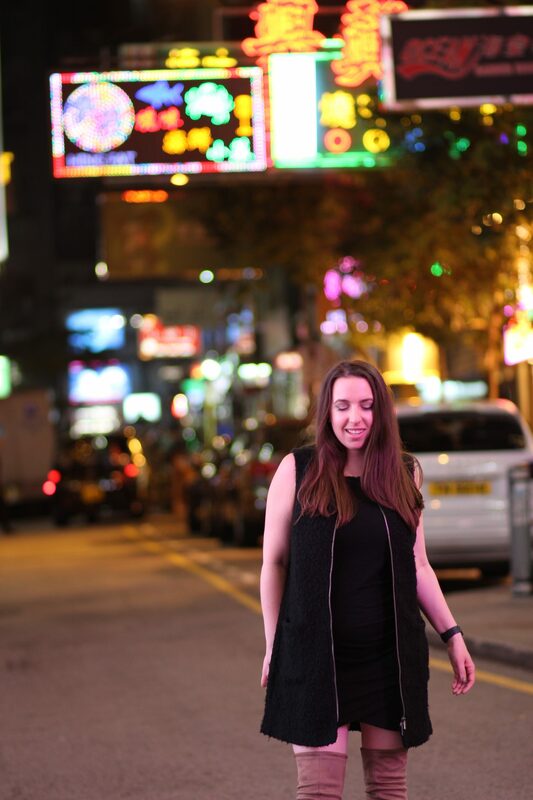 I also did an OOTD post on one of my favorite looks I wore in Hong Kong. Come back soon to hear more about my 30 by Thirty travels. Thanks for reading! I loooove soup dumplings — always good to see those in a travel guide to somewhere I want to visit, like Hong Kong. Thanks for all your tips, I’ll hang onto your post for whenever I finally get to make my trip! Oh ive always wanted to visit Hong Kong and see those amazing skyscrapers. The pool and those views are just amazing. ahhh looks SO fun! I’ve always wanted to visit hong kong! hotel icon looks amazing! Omg! This looks like such a great time. Hong Kong is definitely on my list now. Terrific insight, thanks Chelsea. We are headed over in January, definitely putting this in the Hong Kong bookmark! This looks like it would be such a fun trip for anyone to take! Maybe my husband and I will have to add Hong Kong to our list of places to visit. XOXO.